There are preconceptions and myths about fitness and working out that come up again and again. Here is the top 10 of those that I have heard most often and which are the most misleading. 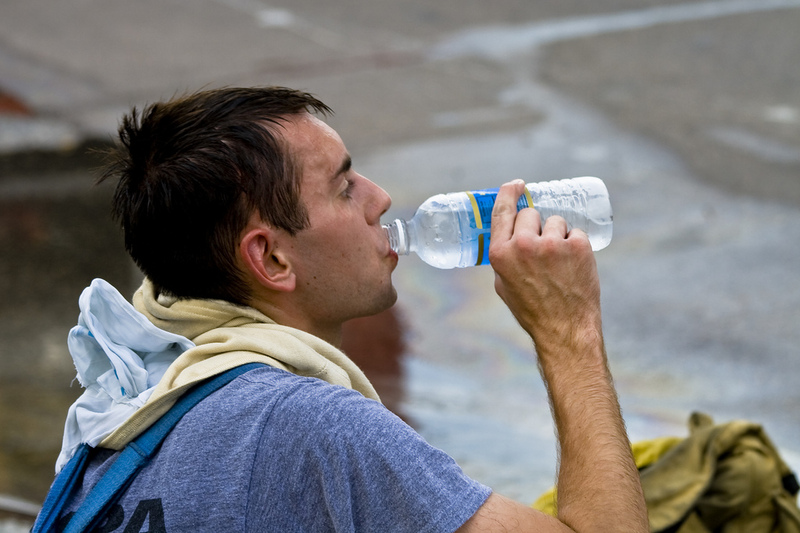 Sweat is not an indication of how hard your body has to work, it simply is your body’s cooling system. And how much cooling is needed depends on the climate and the clothes you wear. Don a fur jacket and try running a 5k on Hawaii in August. Then do the same in Siberia during December and compare how much you sweated. Doing crunches will make your abdominal muscles stronger, but if fat sits on top of them, they still won’t be visible. The key to a visible six-pack is working the ab muscles and having a body fat percentage of 5 – 7%. The last directly leads over to this one: the fat sitting atop of a muscle is not necessarily providing the energy used to make that muscle work. Muscles get their fuel via the bloodstream, which runs through your entire body. The energy used to do crunches may therefore have come from a fat cell in your big toe. Yes, if you keep adding resistance in the form of more weight and keep that up for years. Bulking up is a long process and women, who especially fear turning into She-Man, won’t be able to build as much muscle as men anyway – they lack the necessary testosterone. A good treadmill has shock absorbers, which theoretically means less stress for your knees and feet. But what really wears your joints down is monotonous stress, no matter what form it takes. The key to joint health is varying what you do, recruiting different muscles and giving others a chance to recuperate. 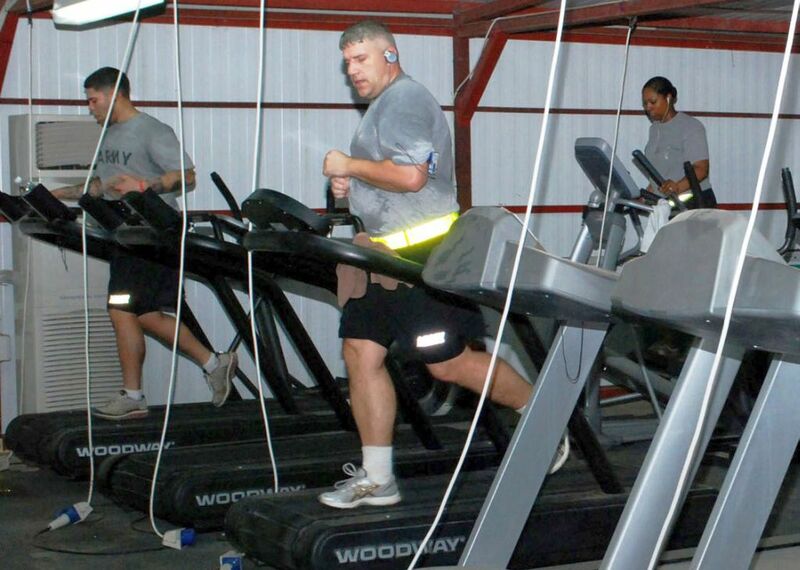 If you always run, try an elliptical for a change or jump on a bike. This one never fails to amaze me: People work out, step on a scale every four weeks and assume that the 10 lbs more it shows since last time is pure muscle. But instead it could be fat, water and simply having had a large meal that is being digested. What works much more reliably is writing down how many repetitions with what weight you were able to do and check how much stronger you got. Do you? Even if your arms are long and you look like the human equivalent of a spider, you can still look better by looking like a fit human spider that has some muscle. Being healthy, fit and in shape doesn’t require you to be able to win a Mr. Olympia contest. Stretching a cold muscle is actually the worst thing you can do, because it can loosen the muscles and make tears more likely. Imagine a piece of butter you try to bend: if it’s frozen it will break in the middle, if it’s soft, it will bend. Therefore, before you either do cardio or weightlifting, warm up with light resistances, to get blood in your muscles flowing. Some people think the more fitness they do, the faster they’ll see results. Which is wrong, because your body needs time to recuperate and adjust for the next exercise bout. If you don’t give it that time, you may just injure yourself, end up in overtraining or both. The worst gets its deserved first place. Especially bodybuilders sometimes tend to have the mindset that pain is a sure sign of doing something right and that working through it shows you are a tough guy, not fearing the battle with the metal. In reality, pain during a workout simply means you are doing something wrong and are injuring yourself or already have an injury. If you feel pain, stop the workout, check what and how you do what you do. If the pain doesn’t go away, see your doctor. Most of those who didn’t heed that, don’t work out anymore. Pictures courtesy of “lululemon“, “Sonny Side Up!” and U. S. Army. aww, no “dood, hit yo muscle from different angles to ‘change it up'”? How can yuh identify or determine the percentage of your body fat? Is there a website for that or what? The point of that section was to demonstrate that it’s not a good means to determine how hard you’re working, Just like how using the next day’s muscle soreness to determine whether or not you’ve had a good workout isn’t a good means. You could be working hard without sweating, just like you could have a good workout without being sore the next day. I think that’s what you were responding to.. Sorry to burst your bubble, but walking and running burn more or less the same amount of calories per kilometer. Precisely. Some studies show that HIIT burns more calories than regular cardio, but the difference is small.